Part of the yield curve is already inverted. Figure 1: Yield curves as described. Source: Bondsupermarket.com. 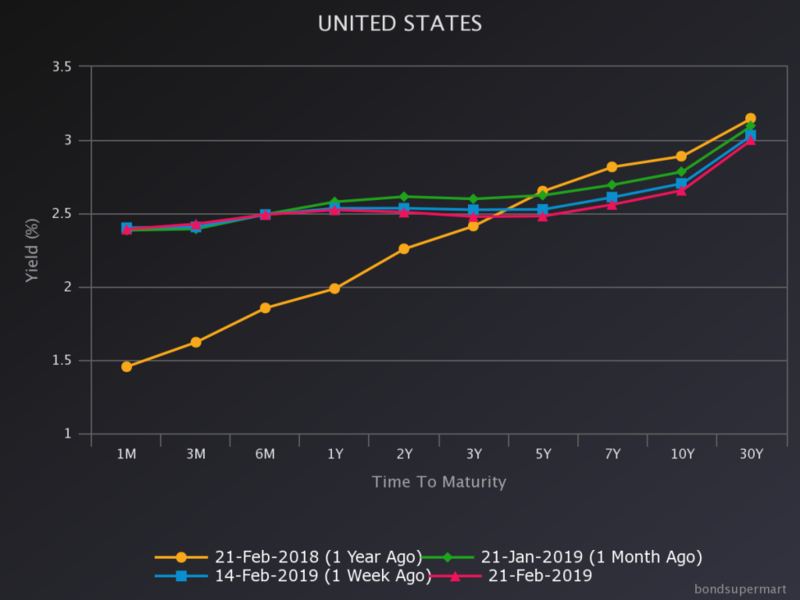 Notice that inversion occurs at the 2-3 year maturities; the key 10yr-3mo spread continues to decline, while the 10yr-2yr spread has stalled. 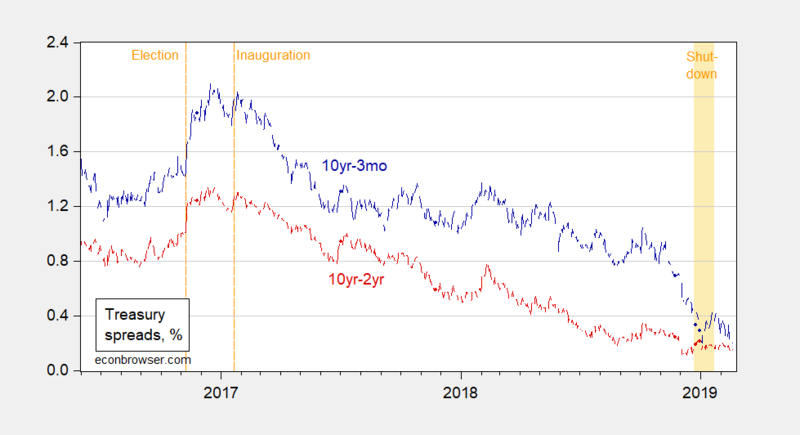 Figure 2: Ten year-3 month Treasury spread (blue), and ten year-two year Treasury spread (red). Source: Federal Reserve via FRED, Treasury Department, author’s calculations. The inversion at the 2-3 year maturities suggests lower short rates in the near future. Menzie David Chinn is a professor of public affairs and economics at the University of Wisconsin–Madison. He, along with James Hamilton, are co-authors of Econbrowser, a weblog on current macroeconomic issues. Menzie received a PhD in economics from the University of California at Berkeley and was a senior economist with the White House Council of Economic Advisers from 2000 to 2001.